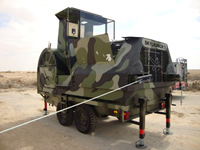 The UAV launcher was designed for NATO forces to aid launching UAVs (Unmanned Aerial Vehicles). UAVs generally have low powered engines and therefor need long runways or rocket assistance to get off the ground. By assisting the launch with a winch the runway can be shortened considerably enabling operations from short runways and more unhospitable locations than normal. 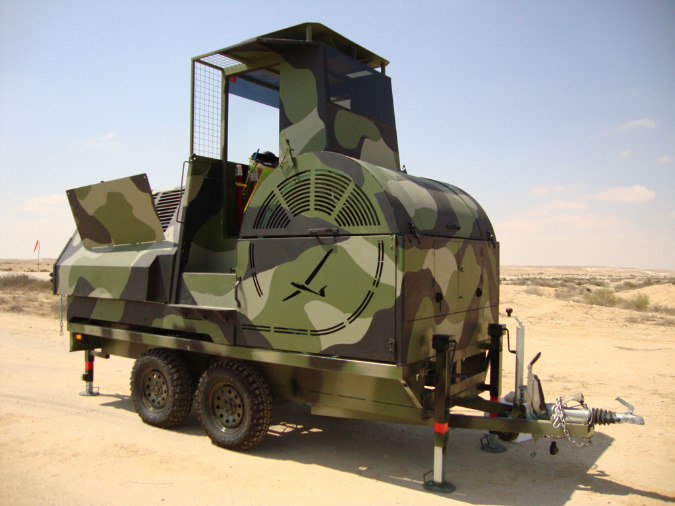 Running costs of the Skylaunch winching system are also considerably less than using rocket assistance. With suitably sized engines and transmission systems various different types of UAV can be launched and launching speeds of up to 120 knots can be attained. The winch is parked alongside the runway and at 90 degrees to it. 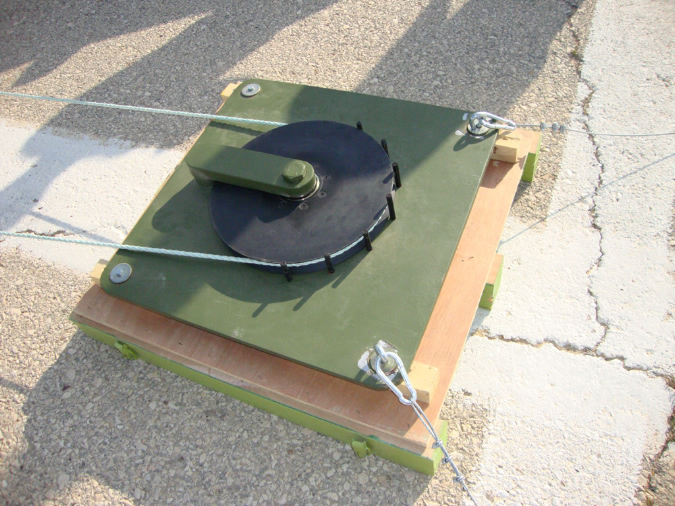 The cable is routed round a reverse pulley at the end of the runway and back to the winch entering the winch pulley system at 90 degrees. This method makes it safer for the winch driver and affords excellent views of the launch. 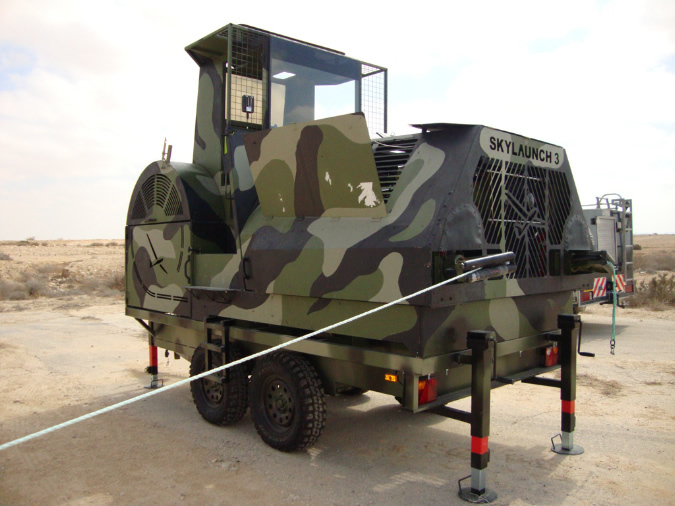 It also enables launching from either end of the runway to suit wind conditions without moving the winch.